The Global Volcanism Program has no activity reports for Krýsuvík. The Global Volcanism Program has no Weekly Reports available for Krýsuvík. The Global Volcanism Program has no Bulletin Reports available for Krýsuvík. The Krysuvík volcanic system (also spelled Krisuvik) consists of a group of NE-SW-trending basaltic crater rows and small shield volcanoes cutting the central Reykjanes Peninsula west of Kleifarvatn lake. 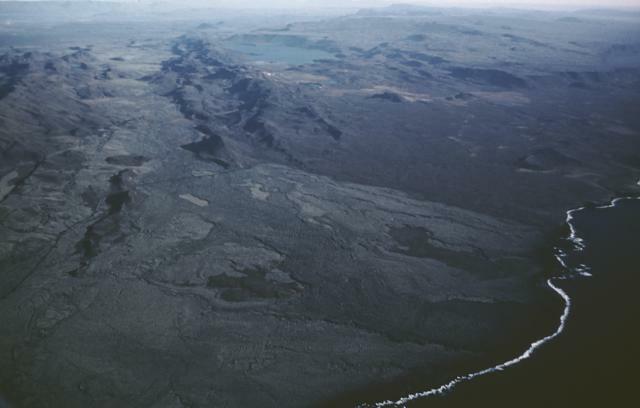 Several eruptions have taken place since the settlement of Iceland, including the eruption of a large lava flow from the Ogmundargigar crater row around the 12th century. The latest eruption took place during the 14th century. Andrew R E B, Gudmundsson A, 2007. Distribution, structure, and formation of Holocene lava shields in Iceland. J. Volcanol. Geotherm. Res., 168: 137-154. Johannesson H, Einarsson S, 1988. Krisuvik eruptions 1. Age of the Ogmundarhraun lava flow and the medieval tephra layer, Reykjanes Peninsula, southwest Iceland. Jokull, 38: 71-87 (in Icelandic with English summary). Reference List: Michalczewska et al. 2012*. Michalczewska, K., S. Hreinsdottir, T. Arnadottir, S. Hjaltadottir, T. Agustsdottir, M. T. Gudmundsson, H. Geirsson, F. Sigmundsson, G. Gudmundsson, 2012. Inflation and deflation episodes in the Krisuvik volcanic system. (abstract V33A-2843), Fall AGU. There is no Emissions History data available for Krýsuvík. The two westernmost of five NE-SW-trending volcanic systems on the Reykjanes Peninsula cut diagonally across this aerial photo. The Reykjanes volcanic system, which lies near the SW tip of the peninsula, where the Mid Atlantic Ridge rises above sea level, has produced Holocene lava fields that extend to the western and southern coasts. The Krísuvík volcanic system, on the right side of the photo, has produced several eruptions since the settlement of Iceland. The latest of these took place during the 14th century. Photo courtesy of Richie Williams (U.S. Geological Survey). The Krísuvík volcanic system consists of a group of NE-SW-trending crater rows and small shield volcanoes cutting the central Reykjanes Peninsula west of Kleifarvatn lake (top center). 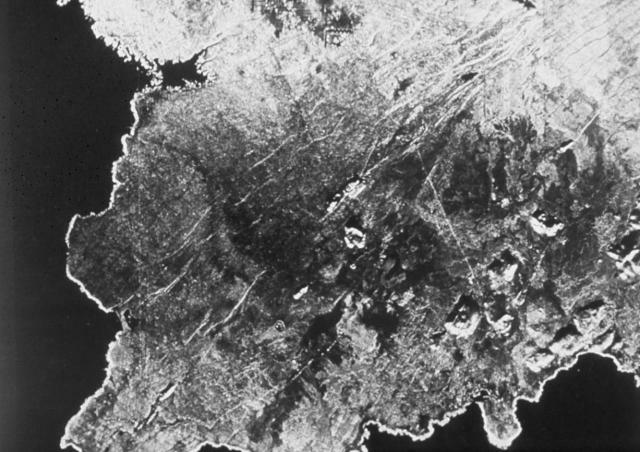 Several eruptions have taken place since the settlement of Iceland, including the emplacement of a large lava flow from the Ogmundargigar crater row around the 12th century that reached the southern coast of the Reykjanes Peninsula (lower right) along a broad front. The Global Volcanism Program has no maps available for Krýsuvík. Catalogue of Icelandic Volcanoes (Link to Krýsuvík) The Catalogue of Icelandic Volcanoes is an interactive, web-based tool, containing information on volcanic systems that belong to the active volcanic zones of Iceland. It is a collaboration of the Icelandic Meteorological Office (the state volcano observatory), the Institute of Earth Sciences at the University of Iceland, and the Civil Protection Department of the National Commissioner of the Iceland Police, with contributions from a large number of specialists in Iceland and elsewhere. This official publication is intended to serve as an accurate and up-to-date source of information about active volcanoes in Iceland and their characteristics. The Catalogue forms a part of an integrated volcanic risk assessment project in Iceland GOSVÁ (commenced in 2012), as well as being part of the effort of FUTUREVOLC (2012-2016) on establishing an Icelandic volcano supersite. Large Eruptions of Krýsuvík Information about large Quaternary eruptions (VEI >= 4) is cataloged in the Large Magnitude Explosive Volcanic Eruptions (LaMEVE) database of the Volcano Global Risk Identification and Analysis Project (VOGRIPA).